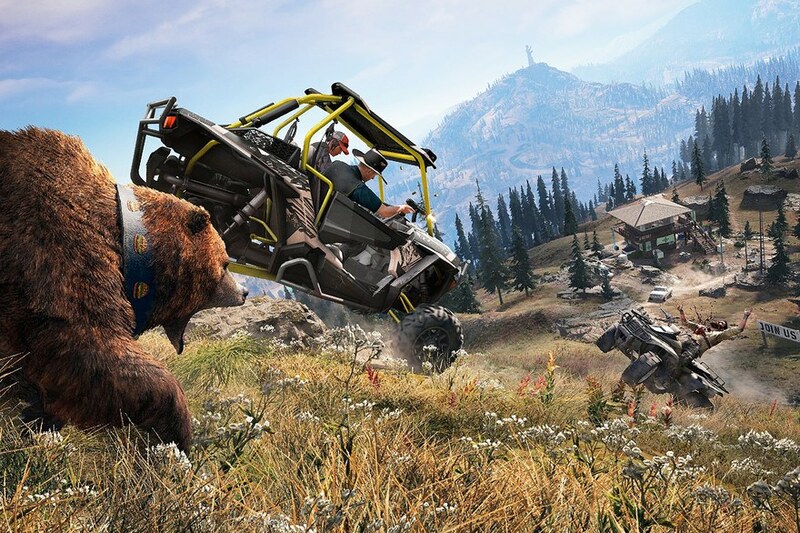 When I first booted up Ubisoft’s new open-world, first-person shooter, Far Cry 5, I knew that it was something special. The introduction, which has you as a nameless law enforcement rookie riding along in a helicopter, sets the tone for the game perfectly. You accompany a couple of Sheriff’s Deputies and a rather righteous Federal Marshall while they attempt to arrest Joseph Seed, the charismatic leader of a doomsday cult called Eden’s Path. 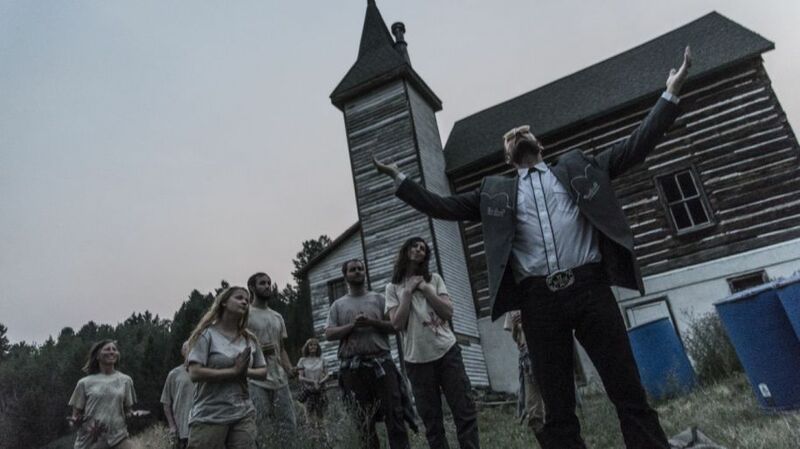 After touching down inside of the cult’s main compound, which is smack-dab in a fictional place called Hope County, Montana, you are greeted by hostile (not overtly at first) cult members. 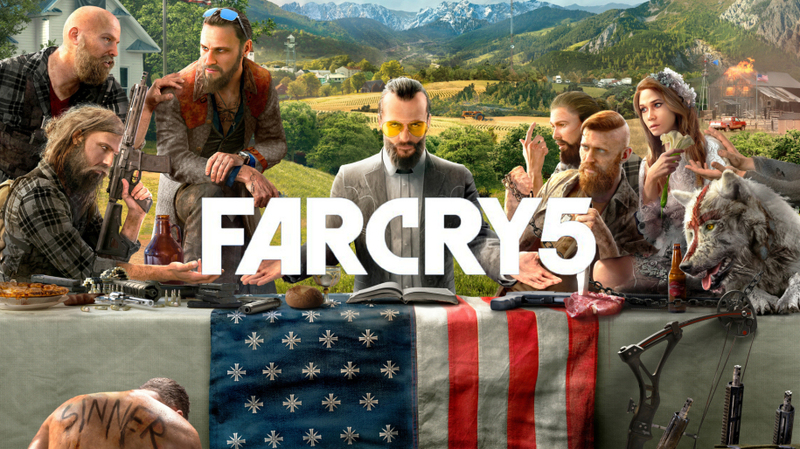 One thing that I noticed right off the bat is that Ubisoft didn’t take the politically correct route and make the entire cult a bunch of white males—there are plenty of women and people of color on hand within the cult. I also liked the overall tension which gradually builds up in the background. By the time you reach the church building where Seed is holding his latest sermon, you can practically cut the tension with a knife; it’s that palpable. Of course, things go terribly wrong from there and you find yourself stranded not too far from the cult’s compound. Oh, and there’s one little small detail: The entire cult is out to hunt you down. What’s really awesome about Far Cry 5 is that you’re not restricted to certain zones, all three of the game’s main regions are unlocked right from the get-go. This was quite liberating, but you’ll probably be wondering what in the world you should do next. Luckily, you have a guide who gives you things to accomplish. You can take on the main missions, but also undertake side-missions as well. What’s great about the game is that you can take on missions at your own pace, and you don’t ever feel that you’re being forced to follow the game’s main structure. This is where many games that have tried the open-world genre have fallen apart. There simply isn’t enough to do to fill in the gaps. An example of this would be last year’s disappointing open-world attempt of a sniper game, CI Games’ Sniper Ghost Warrior 3. Although it had both mainline and side-missions available, when you got out into the supposed open-world, you never felt like you were part of a living, breathing environment. No people were walking around and hardly any vehicles were to be seen, unless they were part of a mission. In Far Cry 5, everything feels life-like. 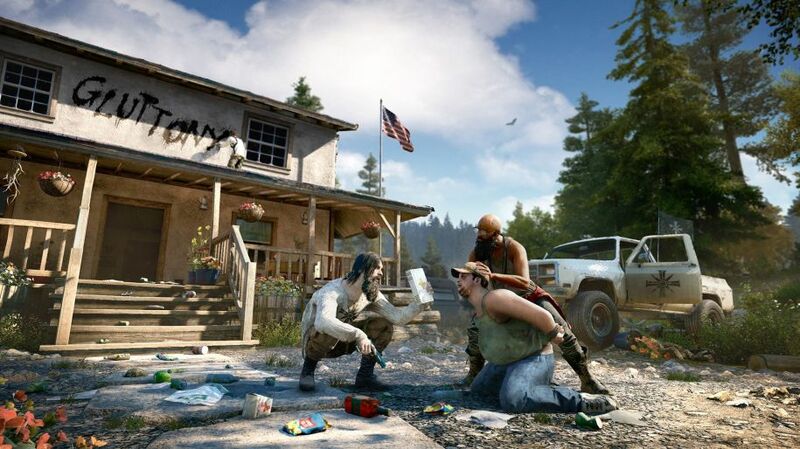 You’ll commonly see the ordinary citizens of Hope County going on about their lives. Heck, most of the fun I had in the game was simply driving around and getting involved in random encounters, which can get pretty darn crazy sometimes. Far Cry 5 also allows you to customize your character, a first for the series. Although it’s nothing on the level of say, Skyrim for instance, it’s nice to up the immersion by you having a say in your character’s general appearance. The overall goal of the game is to build up enough of a guerilla movement to challenge the three main bosses who preside over the three main regions within the game. You do this by accumulating Resistance Points. Completing the aforementioned mainline and side-missions with your resistance members is the most effective way of gaining Resistance Points. However, you can also gain these points by accomplishing random tasks that you stumble across during your journeys throughout Hope County. These include such things as taking out structures that are important to Eden’s Gate, destroying their supply vehicles, rescuing innocent civilians, or liberating occupied bases. 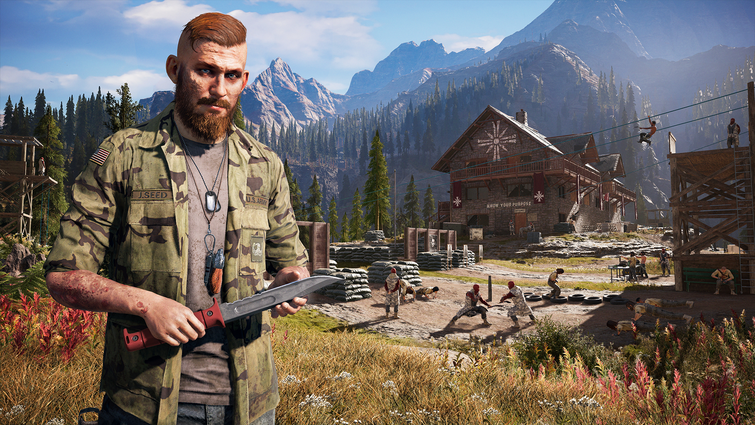 Gunplay-wise, Far Cry 5 feels much more precise than previous iterations of the series. Guns and other weapons feel weighty as opposed to floaty. 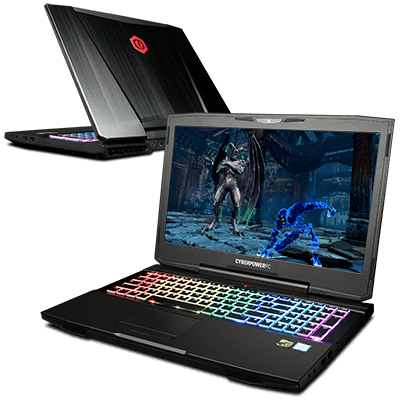 Each bullet, knife, or arrow also seems to have more impact, complete with noticeable sounds when they strike enemies. Both people and animals are easier to take out this time around, and you can kill most adversaries (at least normal ones) with just a few well-placed rounds. Far Cry 5 also lets you accomplish your goals however you want to. For instance, when attacking compounds I’d usually use a stealthy approach, taking down enemies in the shadows one-by-one. But other times, I had the opportunity to lure dangerous animals into a base and let them tear apart my foes for me; or set the place on fire and watch my enemies (and the compound) go up in flames. And don’t worry, for those who prefer a more direct playstyle, you can always go in guns blazing. 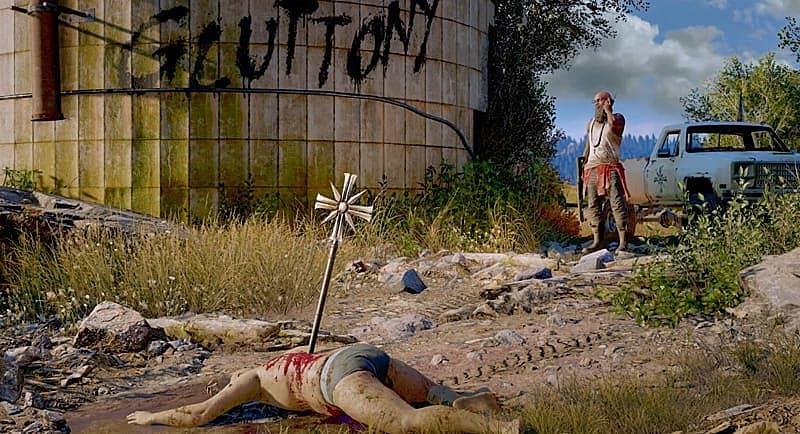 Far Cry 5 is being lauded as the best game in the series so far, and I can see why. It gives the player total freedom to accomplish the game’s goals in any manner they see put. Combine this factor with the game’s outstanding graphics, brilliant sound design, and an interesting story, and I could see it being nominated for this year’s gaming awards.